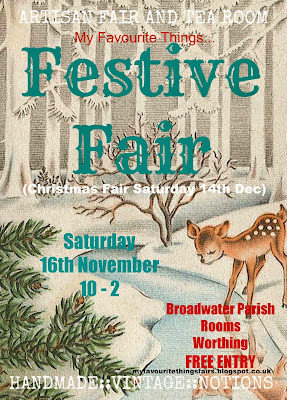 We have only one 3ft stall left to fill and once again have a lovely and varied lot of stalls. 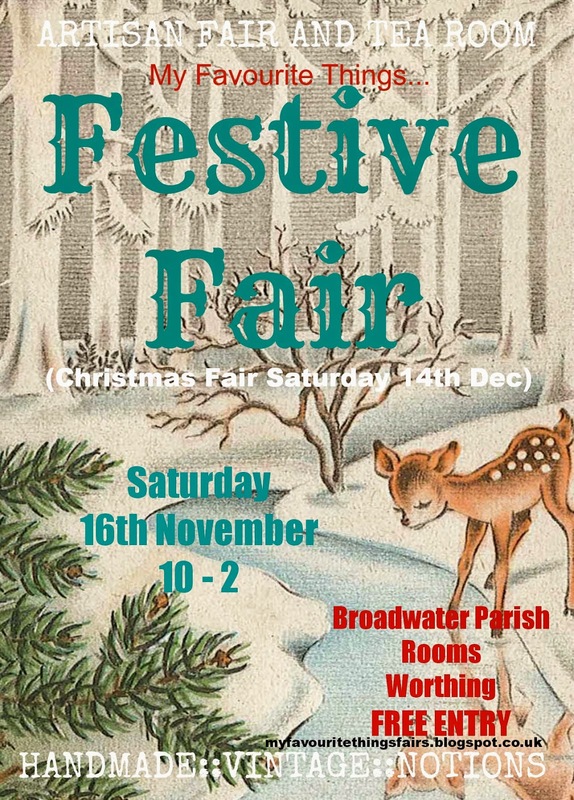 Over the next few weeks we'll be giving you a taster of who will be joining us at our Festive fair, we are really pleased to have some stall holders from previous fairs rejoining us, and also some really fab new sellers who we're really excited to have on board. 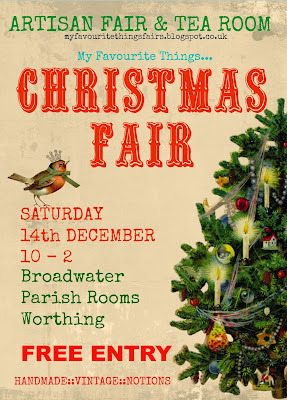 And, in case you're interested, on the 14th December Jane and I will be hosting our Christmas fair. Stalls are filling up fast!